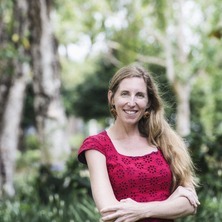 Professor Kristen Lyons is a public intellectual with over twenty years experience in research, teaching and service that delivers national and international impacts on issues that sit at the intersection of sustainability and development, as well as the future of higher education. Trained as a sociologist, Kristen is comfortable working in transdisciplinary teams to deliver socially just outcomes, including for some of the world's most vulnerable communities. Kristen works regularly in Uganda, Solomon Islands and Australia, and her work is grounded in a rights-based approach. In practice, this means centring the rights and interests of local communities, including Indigenous peoples, in her approach to research design, collaboration, and impacts and outcomes. Kristen is also a Senior Research Fellow with the Oakland Institute. Responses to climate change deliver significant impacts at the local level. I lead cross country research that examines the impacts of carbon trading initiatives - one response to climate change - for local communities. I am engaged in research that examines the social, legal and policy frameworks to support Australia to meet its Indigenous rights obligations, especially in the context of a climate changing world. Today’s university system is increasingly market driven, with institutional requirements that constrain options for public good research and learning. This system stands at odds with the primary and historical role of universities. Higher education movements – including free universities, progressive colleges and civic forums – offer important critical alternatives to this current system. I am engaged in research to analyse a selection of movements, delivering outcomes that will increase knowledge of how alliances and campaigns organise, what their change agenda entails, and how they are transforming universities for the public good. My recognised role as public intellectual enhances my national and international academic, policy and industry impacts on issues related to the environment, development and human rights. Over the last five years I have led research teams to deliver socially just outcomes for some of the world's most vulnerable communities. For example, I have led research to identify human rights abuses that underpin international carbon offset projects in Uganda. The outcome of this has changed practices of one of the worlds largest plantation forestry and carbon offset companies, and shaped public debates related to global carbon trade projects. Collaborative research with Traditional Owners in Australia has also also delivered outcomes that have impacted public and policy understandings of Australia's indigenous rights obligations in the context of resource development. To maximise research impact, I regularly work with funding bodies that support collaborative engagement with key partners, and build enduring relations between academic, industry and community groups. In my role as advisor on a number of government advisory bodies, I have played a part in changing guidelines and policies related to emerging technologies. I was part of a team that provided recommendations to the Department of Industry Science and Resources to ensure Australia's compliance with international organic agriculture and food standards, with outcomes that ensure Australia maintains international market access. I am committed to publishing broadly in non academic outlets, including in The Conversation (over 126,000 readers, and ranked #3 at UQ in 2018), ABC, New Matilda), and my research regularly features in international and national media. Journal Article: Getting to where we want to go. Do we need a new relational politics? RIchard Hil and Kristen Lyons (2019) Getting to where we want to go. Do we need a new relational politics? . Arena, 159 25-27. Kristen Lyons and Morgan Brigg (2019) Traditional owners still stand in Adani's way. The Conversation , . Lyons, Kristen, Richard, Carol and Westoby, Peter Carbon violence: the real cost of carbon markets. The impacts of green resources and plantation forestry in Uganda. Oakland, CA United States: Oakland Institute, 2014. Burton, Paul, Rose, Nicholas, DesFours, Lotus, Pires, Victor, Barclay, Rochelle, Lyons, Kristen, Richards, Carol and Amati, Marco Urban food security, urban resilience and climate change. Southport, QLD, Australia: National Climate Change Adaptation Research Facility, 2013. Food security, nutrition and sustainability. Edited by Geoffrey Lawrence, Kristen Lyons and Tabatha Wallington London, United Kingdom: Earthscan, 2009. Lockie, Stewart, Lyons, Kristen, Lawrence, Geoffrey and Halpin, Darren Going organic: Mobilizing networks for environmentally responsible food production. CABI Publishing, 2006. Lockie, Stewart, Lyons, Kristen and Lawrence, Geoffrey Going organic: Mobilizing networks for environmentally responsible food production 1 ed. Oxfordshire, U.K.: CAB International Publishing, 2006. The Research and Management of Non-Urban Koala Populations. Edited by Kristen Lyons, Alistair Meltzer, Frank Carrick and David Lamb Central Queensland University, Rockhampton: University of Queensland Press ; Central Queensland University Press, 2001. The research & management of non-urban koala populations. Edited by Kristen Lyons, A. Melzer, F. Carrick and D. Lamb Rockhampton, QLD, Australia: Koala Research Centre of Central Queensland, 2001. Social Change in Rural Australia. Edited by Geoffrey Lawrence, Kristen Lyons and Salim Momtaz Central Queensland University, Rockhampton: University of Queensland Press ; Central Queensland University Press, 1996. Nel, Adrian, Lyons, Kristen, Fisher, Janet and Mwayafu, David (2018). An environmental justice perspective on the state of Carbon Forestry in Uganda. In Chris Sandbrook, Connor Joseph Cavanagh and David Mwesigye Tumusiime (Ed. ), Conservation and development in Uganda (pp. 124-148) London, United Kingdom: Earthscan/Routledge. Lyons, Kristen (2018). Plantation forestry and carbon violence in neoliberal Uganda. In Jörg Wiegratz, Giuliano Martiniello and Elisa Greco (Ed. ), Uganda: the dynamics of neoliberal transformation (pp. 144-165) London, United Kingdom: Zed Books. Scrinis, Gyorgy and Lyons, Kristen (2013). Nano-functional foods: nanotechnology, nutritional engineering and nutritionally-reductive food marketing. In Dilip Ghosh, Shantanu Das, Debasis Bagchi and R. B. Smarta (Ed. ), Innovation in healthy and functional foods (pp. 547-554) Boca Raton, FL, United States: CRC Press. Lyons, Kristen, Palanippan, Gomathy and Lockie, Stewart (2013). Organic agriculture governance in the Global South: new opportunities for participation in agricultural development and livelihood outcomes. In Niels Halberg and Adrian Muller (Ed. ), Organic agriculture for sustainable livelihoods (pp. 132-152) Oxon, United Kingdom: Routledge. Smith, Kiah and Lyons, Kristen (2012). Negotiating organic, fair and ethical trade: Lessons from smallholders in Uganda and Kenya. In Christopher Rosin, Paul Stock and Hugh Campbell (Ed. ), Food systems failure: The global food crisis and the future of agriculture (pp. 182-202) London, United Kingdom: Earthscan. Scrinis, Gyorgy and Lyons, Kristen (2011). Nanotechnology and the techno-corporate agri-food paradigm. In Geoffrey Lawrence, Kristen Lyons and Tabatha Wallington (Ed. ), Food security, nutrition and sustainability 1 ed. (pp. 252-270) London, United Kingdom: Earthscan. Lyons, Kristen, Scrinis, Gyorgy and Whelan, James (2011). Nanotechnology, agriculture, and food. In Donald Maclurcan and Natalia Radywyl (Ed. ), Nanotechnology and global sustainability (pp. 117-140) London, United Kingdom: CRC Press. Lawrence, Geoffrey, Lyons, Kristen and Wallington, Tabatha (2010). Introduction: Food security, nutrition and sustainability in a globalised world. In Geoffrey Lawrence, Kristen Lyons and Tabatha Wallington (Ed. ), Food security, nutrition and sustainability (pp. 1-23) London, U.K. ; Sterling, VA, U.S.A.: Earthscan. Lyons, Kristen and Scrinis, Gyorgy (2009). Under the regulatory radar? nanotechnologies and their impacts for rural Australia. In Francesca Merlan and David Raferty (Ed. ), Tracking rural change : community, policy and technology in Australia, New Zealand and Europe (pp. 151-172) Canberra: ANU Press. Lyons, Kristen (2007). Supermarkets as organic retailers and impacts for the Australian organic sector. In David Burch and Geoffrey Lawrence (Ed. ), Supermarkets and agri-food supply chains: transformations in the production and consumption of foods (pp. 154-172) Cheltenham, UK: Edgar Elgar. Burch, D., Lyons, K. and Lawrence, G. (2006). What do we mean by green? Consumers, agriculture and the food industry. In Rikka rokassa vai sattumia sopassa? Johdatus yhteiskuntatieteelliseen maatalous-ja elintarviketutkimukseen (pp. 69-87) Helsinki, Finland: University of Joensuu, Karelian Institute. Lyons, K., Lockie, S. and Lawrence, G. A. (2004). Consumer views of organic and GM food. In R. HIndmarsh and G. Lawrence (Ed. ), Recoding Nature: Critical Perspectives on Genetic Engineering (pp. 94-107) Sydney: UNSW Press. Lyons, K., Burch, D., Lawrence, G. A. and Lockie, S. (2004). Contrasting paths of corporate greening in Antipodean agriculture: Organics and green production. In K. Jansen and S. Vellema (Ed. ), Agribusiness and society: Corporate responses to environmentalism, market opportunities and public regulation (pp. 91-113) London: Zed Books. Lyons, Kristen, Lockie, Stewart and Lawrence, Geoffrey (2004). Organics, Biotechnology and Food: Views from Australian Consumers. In Recoding Nature: Critical Perspectives in Genetic Engineering (pp. 87-104) Sydney, NSW Australia: University of NSW Press. Lyons, Kristen (2001). From sandals to suits: green consumers and the institutionalisation of organics. In Bill Pritchard and Stewart Lockie (Ed. ), Consuming foods, sustaining environments (pp. 82-94) Bowen Hills, Qld: Australian Academic Press. Lyons, Kristen and Lawrence, Geoffrey (2001). Institutionalisation and resistance – organic agriculture in Australia and New Zealand. In Hilary Tovey and Michel Blanc (Ed. ), Food, nature and society: rural life in late modernity (pp. 124-147) Aldershot: Ashgate. Burch, David, Lyons, Kristen and Lawrence, Geoffrey (2001). What do we mean by green? Consumers, agriculture and the food industry. In Consuming foods, sustaining environments (pp. 45-68) Bowen Hills, Qld: Australian Academic Press. Lyons, Kristen (1998). Understanding organic farm practice: contributions from ecofeminism. In David Burch, Geoffrey Lawrence, Roy Rickson and Jasper Goss (Ed. ), Australasian food and farming in a globalised economy: recent developments and future prospects 1 ed. (pp. 45-67) Melbourne VIC, Australia: Dept. of Geography and Environmental Science, Monash University. Lyons, Kristen (1996). 'Agro-industrialization and rural restructuring: a case study of the Australian poultry industry'. In Geoffrey Lawrence, Kristen Lyons and Salim Momtaz (Ed. ), Social change in rural Australia (pp. 167-177) Rockhampton, Australia: Rural Social and Economic Research Centre. Lyons, Kristen (1995). Agro-industrialization and social change within the Australian context: a case study of the fast food industry. In David Burch, Roy RIckson and Geoffrey Lawrence (Ed. ), Globalization and agri-food restructuring: perspectives from the Australasia region (pp. 239-250) Aldershot: Avebury. Getting to where we want to go. Do we need a new relational politics? Claudio, Fernanda and Lyons, Kristen (2018) Transnational corporations, violence and suffering: the environmental, public health and social impacts from comparative case studies in Zimbabwe and Uganda. Research in Political Economy, 33 145-169. Lyons, Kristen (2017) Traditional Owners expose Adani’s relentless pursuit of W&J country. New Matilda, . Kristen Lyons (2017) The Queensland Government is the Real Driver of Adani’s Dirty Land Grab. New Matilda, 1-1. Lyons, Kristen, Brigg, Morgan and Quiggin, John (2017) The Adani Carmichael coal mine: introduction to a special five-part series. New Matilda, . Lyons, Kristen and Smith, Naomi (2017) Nanomaterials in our Food. ABC Organic Gardener, . Lyons, Kristen and Smith, Naomi (2017) Nano Foods’: There’s No Proof Some of the Tiny Things You’re Eating Are Safe. New Matilda, 1-1. Lyons, Kristen and Hil, Richard (2017) Liberals lifting higher learning out of reach for poorer Australians. Advocate: Newsletter of the National Tertiary Education Union, 24 2: 22-22. Brigg, Morgan , Lyons, Kristen and Quiggin, John (2017, June 19). The last line of defence: Indigenous rights and Adani’s land deal. , . Richard Hil and Kristen Lyons (2017) The Liberals are Lifting Higher Learning Out of Reach for Poorer Australians. New Matilda, 1-1. A Post Neoliberal Academy? Can Academics Do Politics Too? Hil, Richard and Lyons, Kristen (2017) A Post Neoliberal Academy? Can Academics Do Politics Too?. Arena Magazine, 147: 44-47. Lyons, Kristen, Westoby, Peter and Nel, Adrian (2017) Reforming global carbon markets or re-imagining alternative climate solutions and sustainabilities? An analysis of selected NGO strategies in Uganda. Journal of Political Ecology, 24 324-341. Lyons, Kristen (2016, December 05). How the pursuit of carbon and fossil fuels harms vulnerable communities. , . Lyons, Kristen (2016) Privatisation: challenging the privatised university. Advocate: Newsletter of the National Tertiary Education Union, 23 3: 31-31. Lyons, Kristen (2016, October 26). Australia’s coal politics are undermining democratic and Indigenous rights. , . Hil, Richard and Lyons, Kristen (2016) The great divide: the new fat cats in Australia’s universities. Arena Magazine, 144: 9-11. Hil, Richard and Lyons, Kristen (2016, September 20). Academics are unhappy – it’s time to transform our troubled university system. , . Lyons, Kristen, Tager, Jeremy and Sales, Louise (2016) Introduction to the special issue: Challenging the Privatised University. Australian Universities Review, 58 2: 3-4. Westoby, Peter and Lyons, Kristen (2016) Community organising in the oil conflict zone: Friends of the Earth Uganda ‘Sustainability School’ advocacy initiative. Chain Reaction, 126 46-47. Lyons, Kristen and Westoby, Peter (2016) The other side of green! Sweden freezes payments in carbon trade deal following expose that global company has cheated local communities and the environment. Fair World Project - Special Issue on Carbon Grabbing, . Lyons, Kristen and Westoby, Peter (2016) Green resources hedging around growing international calls for radical reform of its plantation forestry practices. Oakland Institute Blog, . Lyons, Kristen and Hill, Richard (2015) Reform won’t do it, Australian universities need revolution. New Matilda, . Lyons, Kristen and Westoby, Peter (2015) The darker side of green. Chain Reaction, 123 . Lyons, Kristen (2014) Addressing climate change requires real solutions, not blind faith in the magic of markets. Portland, ME, USA, Inter Press Service. Lyons, Kristen (2014) 'Partner or Perish'? The convergence of public and private interests pose new questions for controversial university research. Chain Reaction, 121 32-34. Can government fulfil its commitment to engage the public about nanotechnology? Lyons, Kristen and Whelan, James (2013) Can government fulfil its commitment to engage the public about nanotechnology?. Social Alternatives, 32 3: 51-57. Lyons, Kristen and Westoby, Peter (2013) Carbon markets and the failed promise of new green gold: plantation forestry in Uganda. Chain Reaction, 119: 20-21. Lyons, Kristen (2013) Governing organic food exporting: possibilities for democratic engagement and impacts for smallholder farmers. International Journal of the Sociology of Agriculture and Food, 20 3: 335-355. Mining universities: can we count on the integrity of research coming out of today's mining-funded tertiary sector? Lyons, Kristen and Richards, Carol (2013) Mining universities: can we count on the integrity of research coming out of today's mining-funded tertiary sector?. Arena Magazine, 124: 7-9. Dunstan, Laura and Lyons, Kristen (2013) Organic food improving health services in Uganda. Chain Reaction, 117: 15-15. Lyons, Kristen and Whelan, James (2012) Australia's nanotechnology public engagement ineffective and biased. Chain Reaction, 116 14-15. Lyons, Kristen (2012) Foreign investment: failing people and the environment. Right Now, . Lyons, K. (2011) Organic movement adds its voice to concerns about nano food and agriculture. Australian Certified Organic Magazine, . Paull, John and Lyons, Kristen (2008) Nanotechnology: the next challenge for organics. Journal of Organic Systems, 3 1: 3-22. Scrinis, Gyoegy and Lyons, Kristen (2007) The emerging nano-corporate paradigm: nanotechnology and the transformation of nature, food and agri-food systems. International Journal of Sociology of Agriculture and Food, 15 2: 22-44. Lyons, Kristen (2001) The culture and politics of organic food: an Australian perspective. Australian Review of Public Affairs, . Lockie, Stewart and Lyons, Kristen (2001) Renegotiating gender and the symbolic transformation of Australian rural environments. International Journal of the Sociology of Food and Agriculture, 9 1: 43-58. Lyons, Kristen and Lawrence, Geoffrey (1999) Alternative knowledges, organic agriculture, and the biotechnology debate. Culture and Agriculture, 21 2: 1-12. Lyons, K., Burch, D., Lawrence, G. and Rickson, R. (2005). Globalisation, Sustaining Rural Livelihoods and Organics. In: Shaping Sustainable Systems, 15th IFOAM Organic World Congress. Shaping Sustainable Systems, 15th IFOAM Organic World Congress, Adelaide, (). 20 - 23 September, 2005. Lawrence, Geoffrey, Lyons, Kristen and Lockie, Stewart (2003). Food sovereignty, food security and the environment: Australian consumer attitudes to organics and genetic engineering. In: Conference on Organic Agriculture, Havana, Cuba, (). 27-30 May 2003. Lawrence, G. A., Lyons, K. and Lockie, S. (2002). Localism, community and the politics of organic food systems. In: Cultivating Communities, 14th IFOAM Organic World Conference. Cultivating Communities, 14th IFOAM Organic World Conference, Victoria, Canada, (). 21-24 August, 2002. Organics and biotechnology: Never the twain shall meet? Lawrence, G. A., Norton, J., Lockie, S. and Lyons, K. (2002). Organics and biotechnology: Never the twain shall meet?. In: World Congress of Sociology: International Sociological Assoc., Research Committee on Agriculture & Food. World Congress of Sociology: International Sociological Assoc., Research Committee on Agriculture & Food, x, (). 2002. Hill, Richard and Lyons, Kristen (2015, November 09). A Shift Towards Industry Relevant Degrees Isn’t Helping Students Get Jobs. The Conversation, . Occupational wellbeing in subtropical dairy farming in the post-deregulation era: What role do on-farm human-animal relationships play in psychosocial health?